I’m pretty sure the event started even before our car rolled up in front of a large lit up tent in the middle of the desert. It began the second I was invited to our Slack channel. A group of about 80 strangers planning adventures of a lifetime, offering help and collaboration generously online. 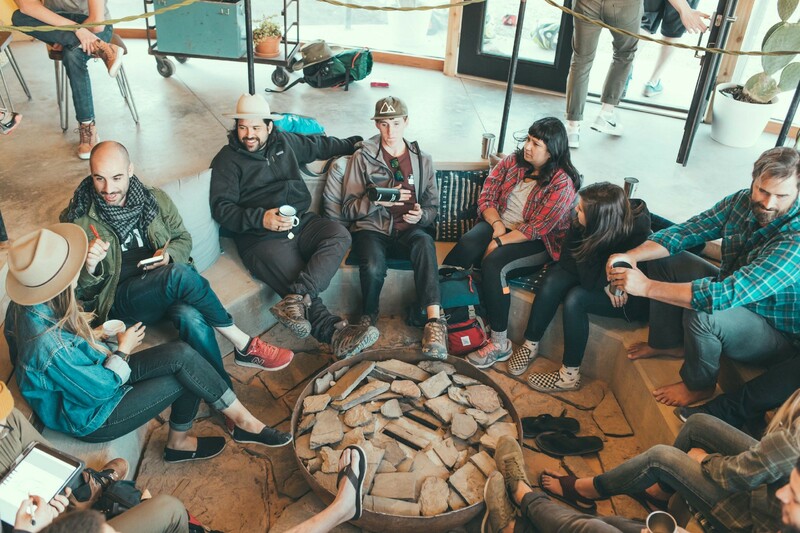 If you are a designer (especially in the Bay Area), you must have heard of Epicurrence. Not a lot have been said about it specifically; everything I have found online has been vague. Frustratingly, my post will only be yet another one of those. One will begin to realize just how intangible the gifts of attending the event is as he scours the web to put together a pitch for a company sponsorship. Ok, whatever that means. Always one to say yes to an adventure, I laughed and shrugged as I confirmed my spot. When Oscar and I rolled up in camp, we were one of the last ones. I felt excitement surge within me like a child, but at the same time I also felt the anxiety of everyone already forming strong bonds. But what if nobody likes me. “Sign your waiver,” Dann urged in his soft-spoken way after detailing all of the fun activities we have in store for us. Maybe mom was right. Maybe everything will hurt me. “There is NO discussion. Stay in your room and study. You cannot do any of that, it’s too dangerous.” My mom crossed her arm, and exclaimed with a stern frown. Maybe mom is right. Maybe everything will hurt me. The next day, I joined a big group to tackle the famous Narrows hike. I was scared. Nobody knew this, but I was scared. Throughout my adulthood, I’d been known amongst all who had known me to be quite the daredevil. I was the one who’d packed my bags, left Singapore and traveled across the United States all by myself without any savings. I dedicate a large chunk of my time to (powerlifting, pole dancing, trying out things that scare me, or aka) making sure that I don’t allow the fear my mom has bred in me to control my future. 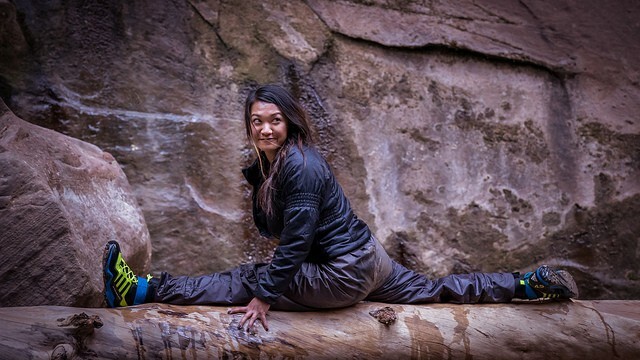 That day, I fearfully climbed a log to perform a front split, fell and impinged my rotator cuff. Hey mom, you were right. I did get hurt, but I have no regrets. Panting heavily, I used all the strength my little body could muster to push my bed frame so that the edge of it would align with the closest tile line on the floor of my bed room. As sweat trickled down my forehead, I placed my hands on my hips, puffed out my chest, and looked proudly at the reorganization of my room. “Mom, can I have white curtains?” I stayed in my power pose, eyes still glued to my masterpiece as I tilted my head towards my door and yelled. My mom giggled knowingly. Seconds later, she stepped into my room with my uncle, who was visiting. It was then I was asked the question which steered the course of my life. I surprised no one but myself. The landscape was gorgeous. The shades of golds, pinks and blues that touched the horizon at sunrise were made up of the stuff you’d want to share with anyone you have ever felt an inkling of affection for. 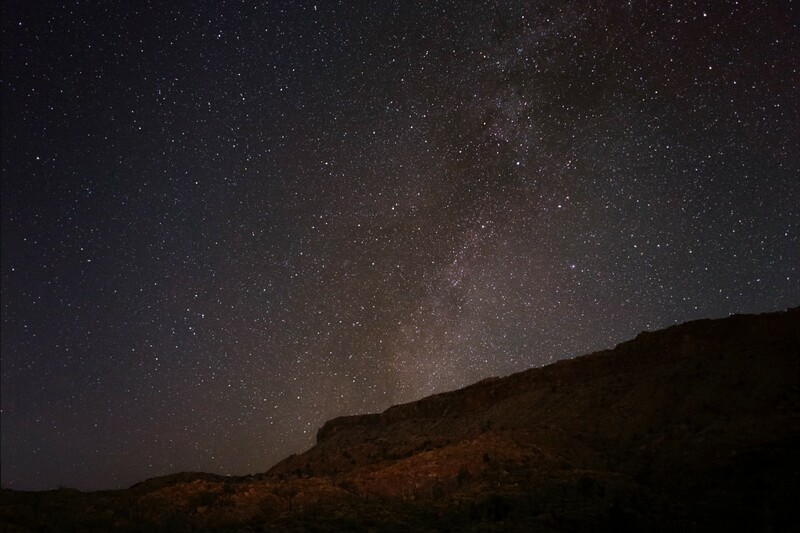 I stepped out of my tent, toothbrush in hand, and sighed heavily at the beautiful sight. To hold on to something that is no longer there is a waste of a gift — the gift that is your present. My eyes blinked hard at a tear that formed as a result of my realization. That day, I gave my all. I shook away my 8 year old self; I shall not be afraid of rejection. It’s time to really share myself. 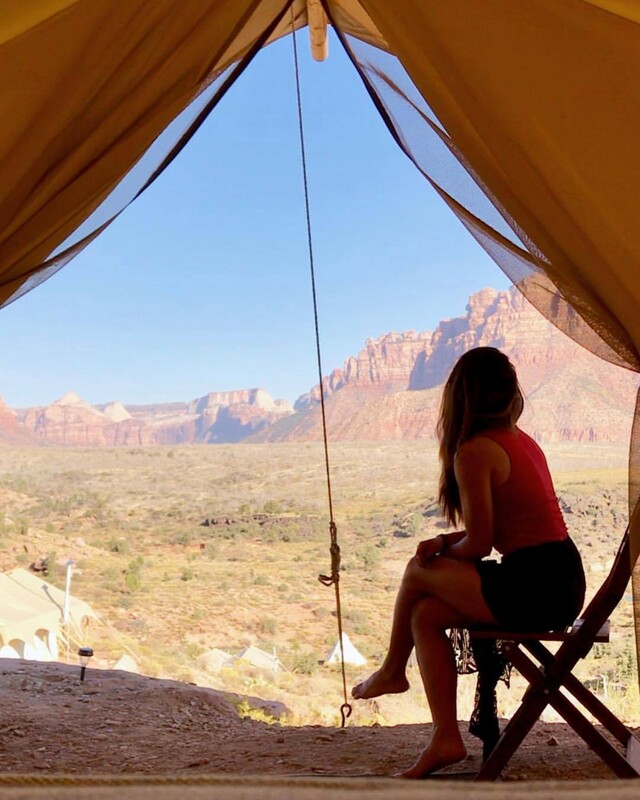 “So, what do you want to get out of this?” Katie asked a question in the same line of thought as the 36 questions that lead to love, as she hiked by my side up the scenic Watchman Trail in Zion National Park. Little did I know that what I was looking for, was a part of me that has always been there but I’d temporarily suppressed. I choked back tears as I calmly thought about all the people who didn’t believe in my choices. However, I knew what I wanted, and when something was challenging, it’d only made me want to triumph more. I wanted to use architecture as a tool to highlight and potentially solve social and urban issues. It was a dream of mine. It was the second night. 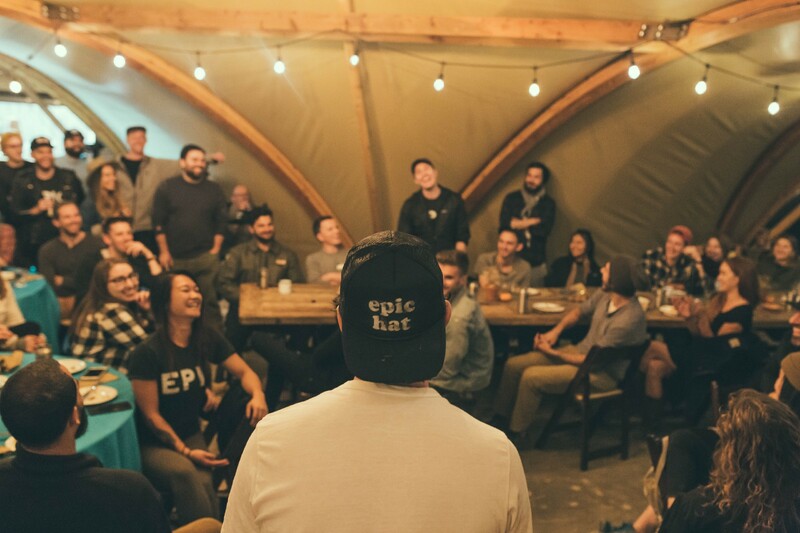 The talks at Epicurrence happened after dinner. It always began with Dann Petty pulling out a high stool, and everyone fervently sharing their experiences of the day — some hazardous (cough*Brad*cough), some less so. 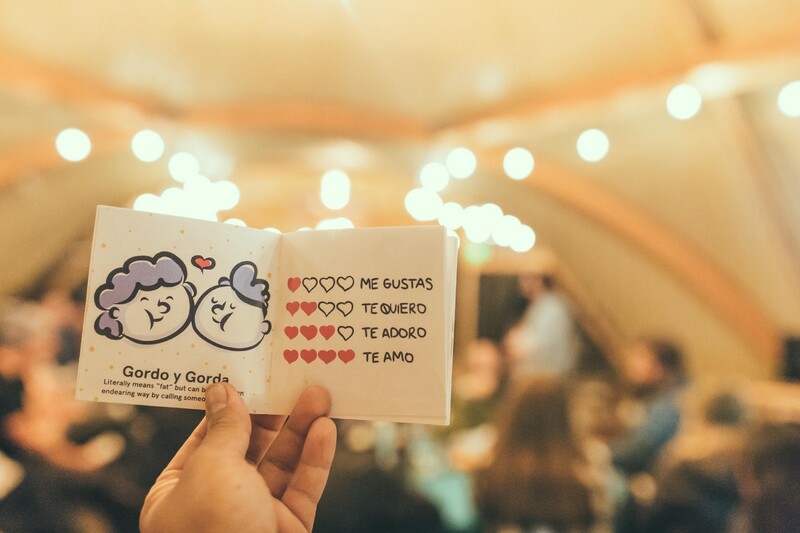 So far, Pablo Stanley has given the most entertaining Mexican slang class, complete with a fully illustrated guidebook. Bobby Goshal and Jared Erondu walked us through their journey of creating High Res podcast. Courtney and Lindsey Bradford answered questions on running a successful design agency as sisters, and in general. Greyson MacAlpine got vulnerable, and delivered a heartwarming account of overcoming adversity through her personal experiences. I sat there, silent. I didn’t ask any questions, but I had plenty going through my head. Something felt familiar, yet foreign like that of an old friend. The way these people believed in what they do, and the way their eyes shone in expression. That passion, I had that passion. I want to use architecture as a tool to highlight and potentially solve social and urban issues. It is a dream of mine. O’ahu — oh how I love this island. I’d spent 3 weeks in paradise, and it was my 3rd visit. “Move here,” he said. “Okay.” I replied, slowly caressing the tattoo of the island I have on my right forearm. As life would have it, although it’d felt like pure magic to make such a romantic agreement on vacation, the decision eventually became to be exceedingly ridiculous when I returned to life on mainland. Uprooting myself doesn’t scare me. Uprooting myself before it is my own decision, does. A quarter of my initial motivation to attend Epicurrence came from my desire to ask Marc Hemeon this question. Hence, when he had something to say, I was all ears. Then, just like my uncle did when I was 12, Marc asked me the question which would now steer the course of my life. 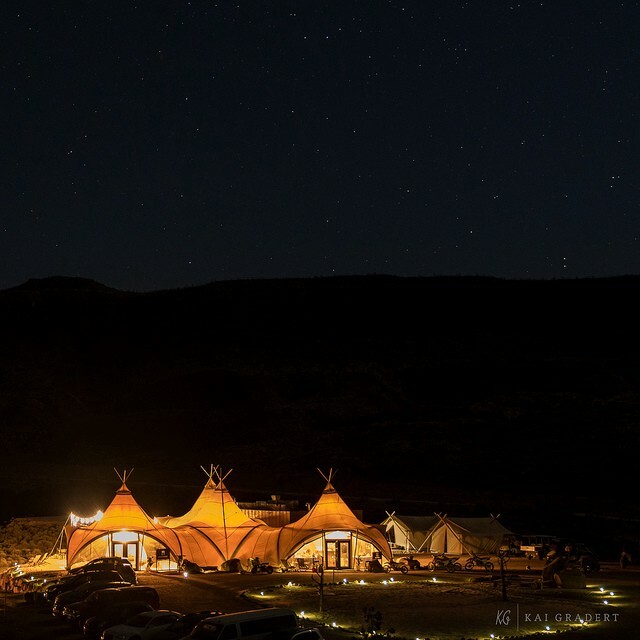 That night, I sat in my tent with new found clarity. The laughter of my friends echoed from the campfire site. I called him. He was slumped in a drunken stupor. It took me a whole night before I finally located him in a bar, and carried him home. Later, I struggled to help him undress. That was when I saw it. “Why is there a knife strapped to your calf?” I asked with trembling lips. He shrugged, his bloodshot eyes starring blankly at me. I shut my eyes for a second, willing myself to be the strong one for us in that moment. When I regained some composure, I put him into bed, and cradled him as he sobbed. My heart broke in agony for his suffering. And in front of everyone present, I cried. Just like that, another little piece of my broken heart found relief. It has only been slightly over a week since Epicurrence has ended. 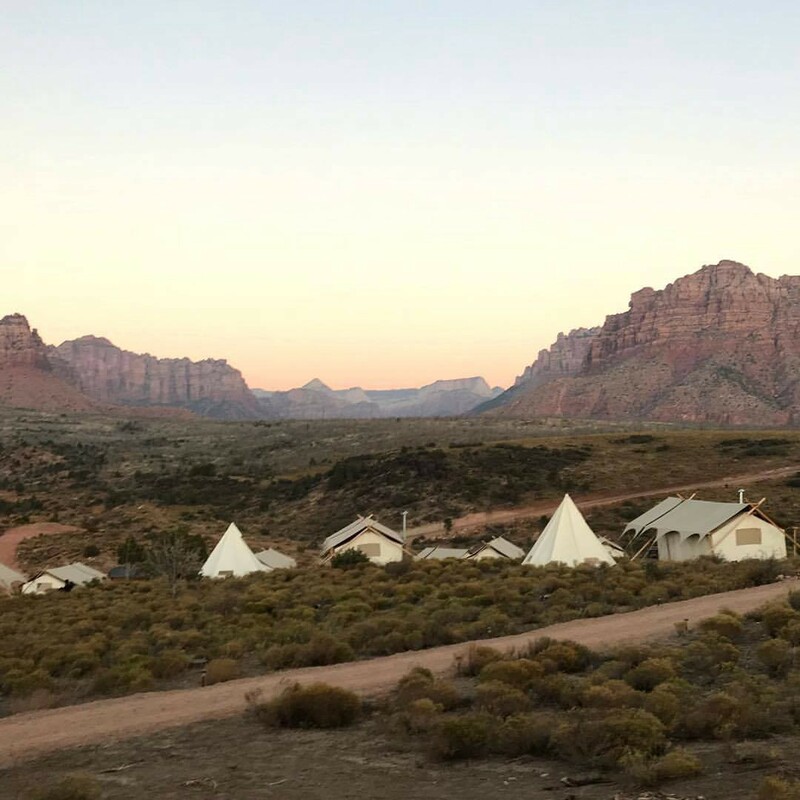 The whole lot of us are still reminiscing over our time at Under Canvas Zion in our Slack channel. I finally understand why it is so hard to describe the event, and I still sit here.. pausing at this sentence, wondering how I could explain it to you. Dann was right, Epicurrence is what you make it. I will even venture as far as to say this — Epicurrence is what you didn’t know you needed it to be. Unlike most other conferences where themes and topics are fixed, and therefore so are the main takeaways, I am confident that my above account of my experience is unique to only me. Somewhere between my pursuit to stay in America and my attempts to find what I thought would make me happy, I got lost. I am still processing over the specific details of what all that means for me but certain broad decisions have been made. I shall return to architecture, in some way, shape or form. Sorry mom, but I shall not be afraid. I shall move to Hawaii, but only when it serves my goals. From my bottom of my heart, I thank you, Dann Petty, and everyone who attended and touched my life. Architect turned UX Designer. I value good design, lifting heavy, honesty, traveling and eating lots of protein.